The all new SPIKE Fij-it 2-Pack is our latest addition to our innovative line of silicone fidget play. Fidget toys have been clinically proven to help children with attention and anxiety issues stay focused and calm, the SPIKE Fij-it is mess-free, quiet, and ideal for the classroom. With a dual texture design, it features soft and durable silicone spikes on one side, and a smooth surface on the other. Our product testers couldn’t put them down! For even more tactile fun, squeeze two Fij-it toys together and enjoy the satisfaction of peeling them apart. Made from 100% Silicone, SPIKE Fij-it toys are hypoallergenic and non-toxic, as well as BPA, phthalate, latex and odor free. 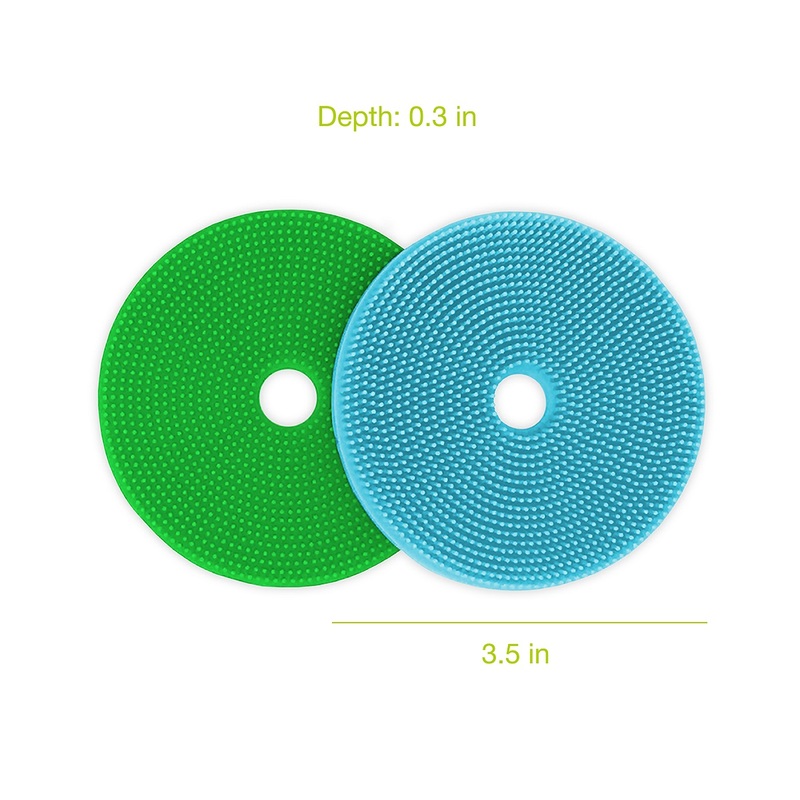 Naturally antibacterial silicone is easy to clean and can be sterilized for deep cleaning. Made in South Korea. Great to pair with the SPIKE Pencil Grip & Topper Combo (Sold Separately)! Spike Fij-it features durable and soft spikes that provide tactile stimulation for Kinesthetic learners. Dual textures: soft spikes on one side and smooth silicone on the other. Squeeze them, smash them, and collect them all! My students love using the fij-its for a sensory break or fidget at their seats. It is quiet and not a distraction to others. Seeing as the baby throws an absolute fit each time I put their fish bath scrub away, I figured it was time to try the Spike Fij-It. The Fij-It washes up just as easily as the fish bath scrub while still providing that desired sensation outside of the bath. It gets squished together in all sorts of shapes and ways. My oldest enjoys "making a sandwich" with each one. They all enjoy running their fingers through the silicone "spikes". This is perfect to use with my fidgety clients! Quiet enough to still talk during a session and he perfect amount of squish to keep them entertained! Perfect for my adhd clients that I work with! Quiet enough to continue with sessions but the perfect squishy ness for the kids to enjoy! My son has adhd and struggles with paying attention and focusing on school work. These have helped my son stay calm and keep him hands busy so his brain can focus on what’s in front of him. They are fun to play with and super soft.